We round up the latest Liverpool news and transfer rumours on Tuesday, as the Reds begin their training camp in Marbella. Could it be Fabinho & Matip at centre-back? Far from an ideal situation for the striker. Not only Glatzel and Duncan who deserve praise. James Nalton discusses a range of topics. Liverpool trained in Marbella on Tuesday but three players who didn’t take part were James Milner, Gini Wijnaldum and Fabinho. Klopp has given reasoning behind the trio of midfielders missing out, with nothing to worry about for supporters. “It’s how it is after games, you have a couple of problems,” Klopp told LiverpoolFC.com. “Fabinho felt [something] a little bit; it will not be a problem, but there was no reason for him to be out [training] today. Alex Oxlade-Chamberlain and Rhian Brewster were part of the group, however, taking part in a light session before returning to their individual work. Aaron Ramsey will join Juventus at the end of the season, in a deal that is reportedly set to earn him approximately £400,000 a week. The Arsenal midfielder was linked with a summer move to Liverpool but the Evening Standard claim they were put off by his wage demands. 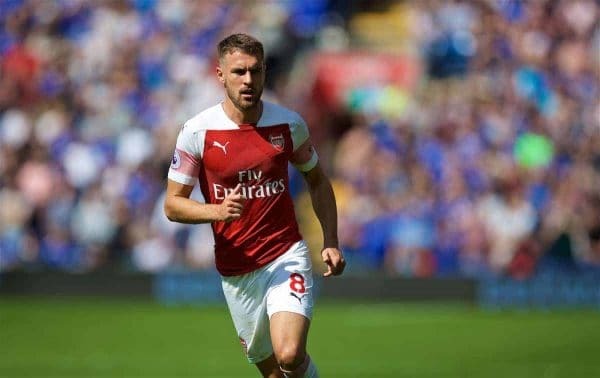 Jurgen Klopp is believed to rate Ramsey highly but he couldn’t justify bringing him in, especially with the midfield already so well-stocked. The transfer is set to make the Welshman the highest-earning British footballer in history—he’s not worth it, surely? 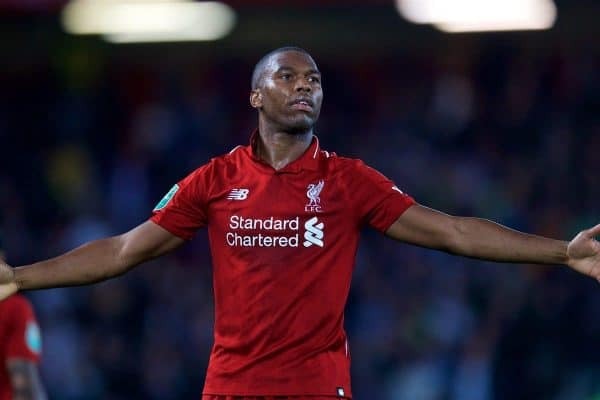 Spurs Set to Approach Sturridge? Liverpool have no plans to offer Daniel Sturridge a new contract. Now 29, the striker remains one of the club’s highest earners at around £120,000 a week, but his bit-part role under Klopp certainly doesn’t justify such an outlay. He is unlikely to be short of suitors ahead of his departure in the summer, and according to the Mirror‘s Darren Lewis in today’s physical paper, Tottenham are among those interested. Lewis claims Spurs are “particularly keen” as they seek a replacement for Fernando Llorente as backup to Harry Kane. 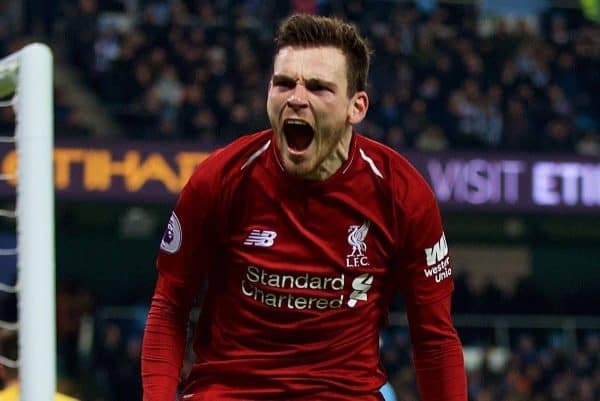 Andy Robertson has become one of the most influential figures of the Klopp era, both on and off the pitch. “My attitude when I go onto the pitch has always been fearless. I’ve never gone into a game fearing anything or anyone. “I’m realistic—every game, not all of us can play to the highest of our ability. It is this attitude that has seen Robertson enjoy a meteoric rise from playing for Queen’s Park in 2012 to captaining Scotland, as well as becoming one of Europe’s best left-backs. 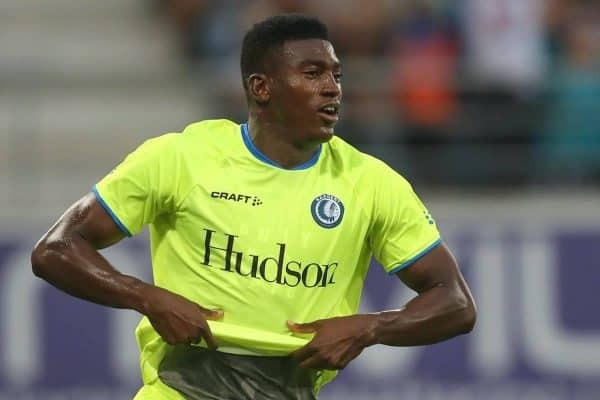 Taiwo Awoniyi made headlines when he scored for Royal Excel Mouscron against former club KAA Gent on Sunday night. It earned his side a 2-1 win, and to add further salt to Gent wounds, it has now been revealed by HLN that they will have to pay Liverpool a fine because of under-playing the youngster during his initial loan earlier this season. “First, we gave him sufficient opportunities. He started eight times with us,” Gent manager Michel Louwagie claimed. “There was also a ‘penalty’ in the agreement: if he did not start in 70 percent of the matches, we had to pay that penalty. Virgil van Dijk‘s influence at Liverpool has arguably been near-unrivalled in the last 12 months, perhaps with the exception of Mohamed Salah. 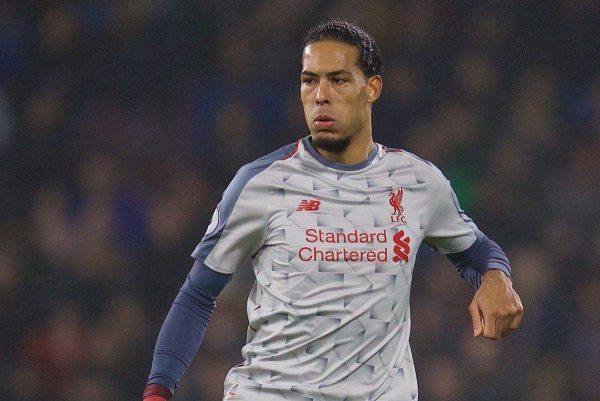 The Dutchman has marshalled a defence that has conceded just 15 times in 26 league outings to date this season, making him the current favourite for the PFA Player of the Year award. “Winning the Premier League is about who gets the most points and there’s different ways of getting points. 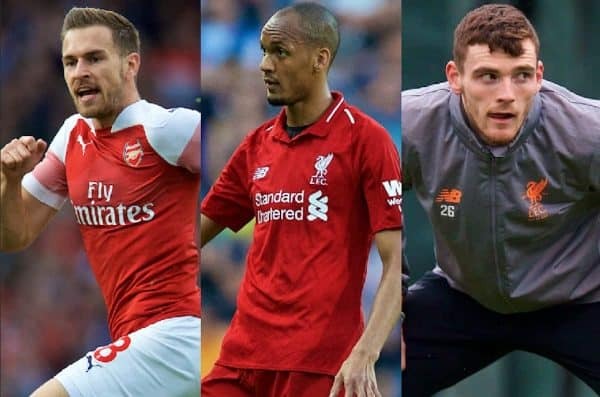 “Liverpool have relied a lot this season on what they’ve done defensively, the two Dutch players were outstanding at the weekend. 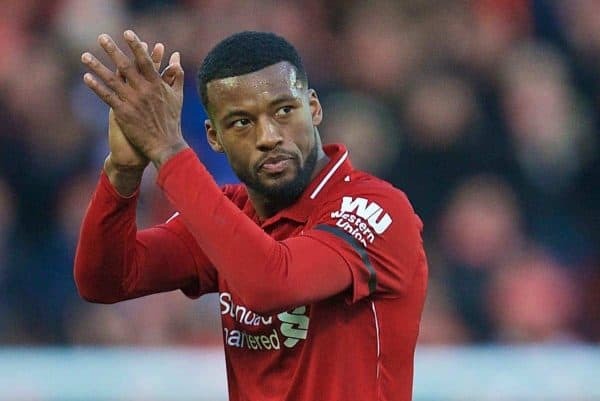 “Wijnaldum was back and certainly that man Van Dijk at the back what he’s done. He’s the best defender in the league. “So we talk about the attacking players City have at the other end, Liverpool can almost match them I would say, but in terms of Van Dijk they have the best defender. “So Liverpool could actually win the league that way. It’s not so much about how well you play, it’s getting the three points. 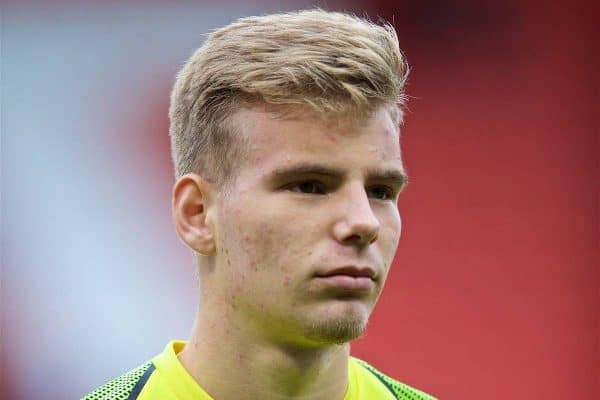 Liverpool U18s strike pairing Paul Glatzel and Bobby Duncan may have earned headlines this season, but goalkeeper Vitezslav Jaros has also impressed greatly. “The front two have stolen quite a lot of the headlines, 41 goals between them, which is fantastic, but we’ve needed the big man in goal on quite a few occasions. “There have been a few standout games when Vitezslav has kept us in them. The U18s host Wigan Athletic in the fifth round of the FA Youth Cup on Wednesday evening (7pm GMT), with Jaros expected to start between the sticks.